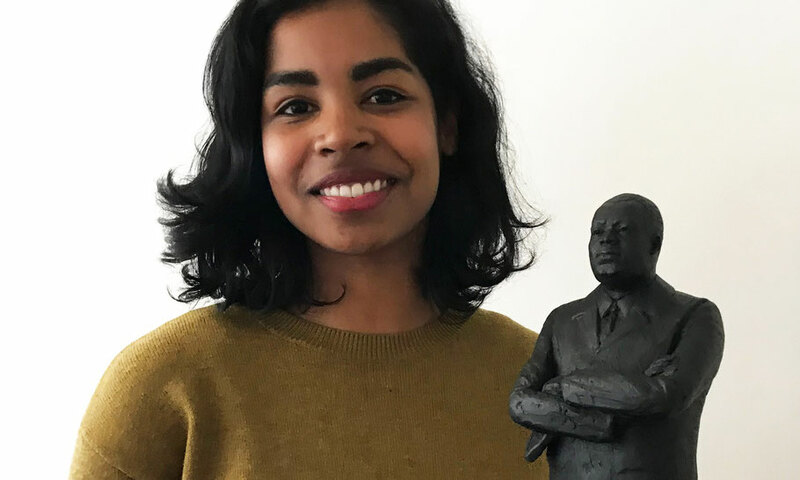 Curator of Amsterdam Museum Imara Limon received the Museum Talent Award of the Year in 2017, because of her exhibition Black Amsterdam (Zwart Amsterdam). The jury described her as an ambitious professional who understands the urgency of these times to refocus on art collections. Black Amsterdam was about black role models in the city. The museum called upon the people of Amsterdam to nominate black role models: writers, politicians, rappers, or even their next door neighbor or the local football coach. Imara Limon worked together with the museum to make a selection from all those nominated. During the Black Achievement Month, Amsterdam Museum was hosting a range of activities on themes such as representation and the question: ‘What is black?’. Limon was also invited to be museum director for one night of the Maurtishuis and she developed the program New Narratives, where the shared history of cultural institutions are being rewritten to obtain more inclusivity. The Martin Luther King statue has been included to the Amsterdam Museum Collection.